The loss of Arturo has deeply affected all of us, but we have the belief to carry on and build on his memory an emblematic and challenging race, one that will find the balance between the wild experience and the runner’s safety. Since its origin, it has been evident that Ultra Fiord has been focused on a semi-autonomous and high-demanding race model, associated with the geography, the wild conditions, and sometimes, the inhospitable terrain of the Patagonian fjords. The event has been developing since the middle of 2014, and since its first edition, has shown its tough and authentic character, which was especially designed for mountain runners. It is a complex equation based on the fundamental values that define Ultra Fiord: love for the mountain and running in freedom. We will create a strict rule concerning equipment, including the organization’s obligations with regards to its definition and control, both before and during the race. Furthermore, we will adjust the runner’s obligations with respect to how it should be both carried and used, incorporating drastic measurers for those that do not comply with the requirements. We will strengthen the entire security, evacuation, and communications system, which also means strengthening the team’s personnel, especially in the high-mountain areas. In addition, we will complement this by implementing a mandatory individual insurance for helicopter rescue, which will be based in the race area. 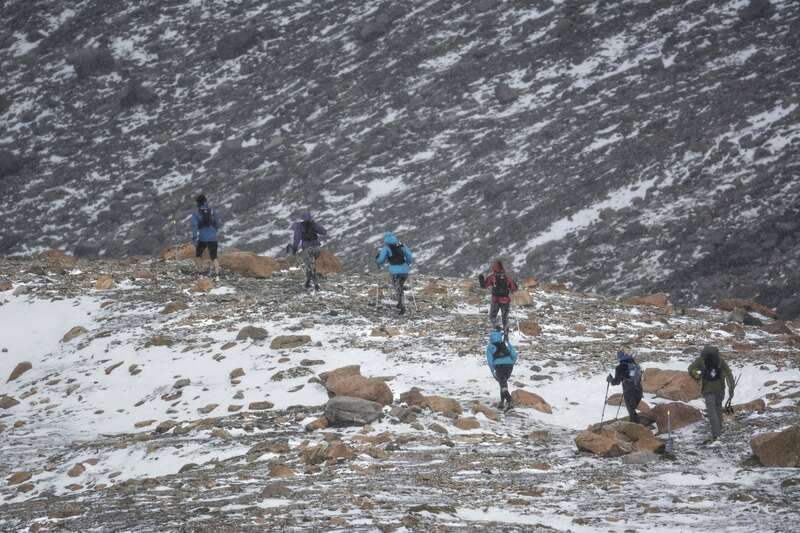 We will strengthen the focus and criteria for the selection of experienced mountain runners. We will maintain the semi-autonomous and high-demanding race format. We will strengthen the pre-race communication with the runner, especially with reference to the semi-autonomous format, the wild character, and isolated location, the event’s high demands, and the runner profile. Likewise, we will implement a calendar of technical pre-race talks. In addition to the 100M, 100K, 70K, and 50K distances, we will be adding a 50K in pairs for less-experienced runners or those that would prefer to permanently run with a partner. We will also be eliminating the 30K distance in order to concentrate all of our efforts in the “ultra” distances. We will be limiting the number of runners for each race distance. We will modify the event calendar by distributing the different distances on different race days. We will strengthen the attention to the runner in the aid stations, starting lines, and finish lines. We will be improving the control of runners in the starting lines, and therefore, also the control of passage through aid stations. The timing for all distances will be electronic. For cases of adverse meteorological conditions, we will have a pre-established plan for an alternative route. In the case that the direction of the race opts for this option, the 100M distance could be reduced or combined with the 100K distance. In the race’s general rules, we will include an explicit article for the option that in cases of adverse meteorological conditions, the runner can freely choose not to run and save their registration fee for the following year. We will maintain the event’s wild spirit intact. Ultra Fiord will continue being an authentic and unique race, with the stamp of the fjords, located in a remote, isolated, and sometimes hostile place, built for mountain runners. To be an Ultra Fiord runner will continue being a challenge, one that implies entering deeply into the Patagonia, accepting its geography, its isolation, its climate, and its demanding and semi-autonomous race format. If this is what you are looking for, we invite you to continue developing Ultra Fiord’s history!